By now, I am sure you have seen the news that was posted yesterday. If you have not, you can check out the good news about Lewis Park here. 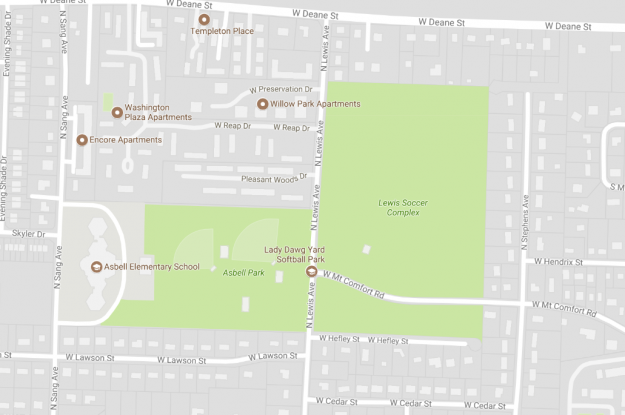 Essentially, Mayor Jordan has worked out a one-year lease extension with the University of Arkansas for Lewis Park. In exchange, the University gets an extension of the Indian Hills property, which is behind Chik-Fil-A on MLK. This is a welcome development. It means we have some more time to raise funds and build partnerships with other interested parties, like Fayetteville Public Schools. It also means we can get clarification by the State Legislature of Arkansas about public land expenditure rules. Finally, it means we will be able to use the park until next year and hopefully get it put on the 2019 Bond Issue. These are all good things for the people of Fayetteville. Let’s keep up the good work. The finish line may be in sight, but we still have lots of work to do to #SaveLewis. You can read more at the Fayetteville Flyer and the NW Arkansas Democrat Gazette. The City of Fayetteville and the Parks and Recreation Department are currently in the process of updating the strategic parks plan. At the May 7th public meeting at the Parks & Recreation Advisory Board, the board said they would like more responses to the Strategic Park Planning Survey, so to help them out Karas Health Care has generously donated two (2) 60 minute massages from Be One Yoga, the connected yoga studio next door. To enter in a chance for a massage; 1. fill out the survey https://www.surveymonkey.com/r/imagineparks1 2. like the facebook post 3. comment on the post. 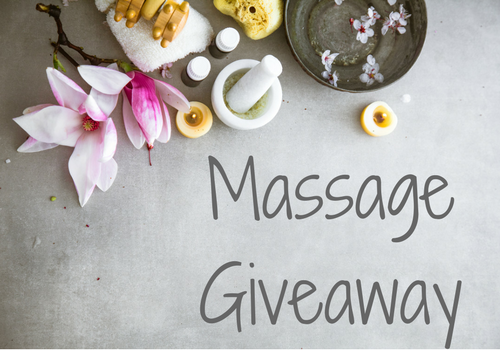 The two winners, each winner will receive one massage, will be drawn randomly on May 31st. 1. No purchase necessary. Void where prohibited. 3. 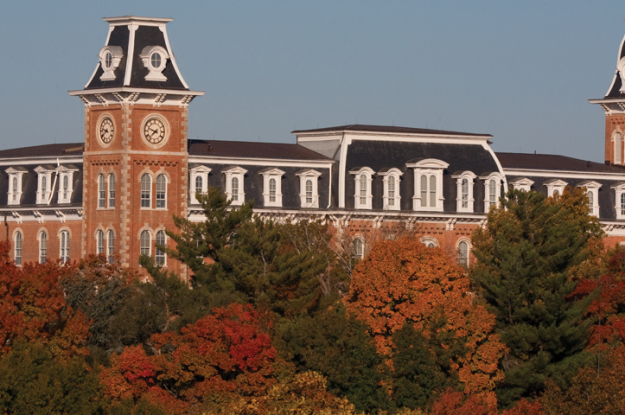 The Giveaway is open to residents of Fayetteville, Arkansas. Giveaways are not open to employees of Sponsors or (or members of their immediate families) or employee of Karas Health Care or Be One Yoga. 4. Facebook Post Comment: Only one entry per person. 5. 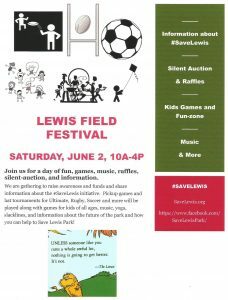 This Giveaway is being sponsored by #SaveLewisPark and Friends of Lewis Park. 6. The Giveaway shall begin at: May 11st, 2018 and conclude at: Noon May 31st, 2018. Sponsor reserves the right to amend the terms of the giveaway, including but limited to the end date at any time. 7. Free Massage. Sponsor reserves the right to withdraw or replace a prize of equal or greater value at any time without prior notice. The prize may not be transferable to another person. No part of the prize is redeemable for cash or combined with any other prize or offer. 8. This giveaway is valued at $60. 9. The winners, each winner shall receive one prize, shall be selected on May 31st, 2018 from a random drawing. 10. If you win the Giveaway, we will notify you by post and e-mail. 11. Winner shall be responsible for any fees, expenses and/or taxes that may be associated with the prize. 12. By entering the Giveaway the winner agrees to participate in such promotional activity and material as Sponsor may require. 13. Winner may be required to execute an Affidavit of Eligibility and publicity release. 14. The winner of the Giveaway must pick up their prize from sponsor within thirty (30) days of being notified as the winner. 15. Winner agrees to release and hold harmless Sponsors, its parents, and affiliates from and against any claim or cause of action, arising out of entrant’s participation in the Giveaway. 16. Sponsors, it’s parents, employees and affiliates are not responsible for incorrect information, technical failures, unauthorized human intervention, human error, undeliverable mail, injury or damage caused from entrant’s participation in the giveaway. 17. All issues and questions concerning the Giveaway shall be governed by and construed in accordance with the laws of the state of Arkansas. This meeting was originally supposed to be held the Technology Center but was moved to room 326 of Fayetteville City Hall. The meeting opened with introductions of the members and an explanation of how the Town and Gown Committee had recently been reorganized and the change of scope of the committee. After the previous meetings minutes were approved, Don Marr, the Chief of Staff for the City of Fayetteville and chair of the committee, asked if the committee would move the item about Lewis Park to the front of the agenda. The council all agreed, and Will Dockery representing #SaveLewis got up and presented the case for Lewis. After presenting the argument that Lewis is utilized by university club sports, international students, and the local population and how changing the park will affect the city and the university the council members asked questions and had comments for further clarification. Several community members voiced their concern during the discussion. After an hour of talking on the issue, Matthew Ramesy, a Community Citizen at Large committee member made a motion to recommend that the city should not prematurely cancel the lease at the end of December in light of the new information that has come to light about Lewis, and to allow all the stakeholders to be able to further sit down and figure out the issues surrounding Lewis Park. The motion was seconded by John L. Colbert, the representative for Fayetteville Public Schools. The motion was voted on after a bit more discussion. The five Community Member Representatives all voted for the measure. The three City of Fayetteville Staff Representatives all voted against it — including Don Marr — who made it clear he was doing so as instructed from the administration. The three University of Arkansas, Fayetteville Representatives all abstained. That meant the motion passed 5-3-3. We thanked the committee for their time and consideration. 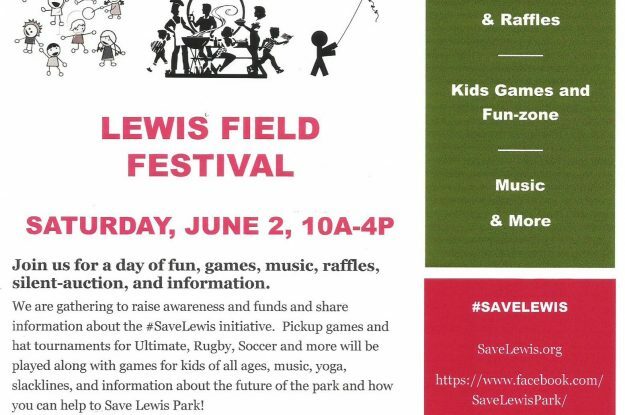 We want to work with the City of Fayetteville, University of Arkansas, local businesses, and the citizens to #SaveLewis Park. Together, we can do great things and continue to make this one of the best places to live. Write you council member. http://www.fayetteville-ar.gov/247/… Remind them that you care about this issue. We need to show up, and show up in force, to the November 21st City Council meeting at 5:30 pm in room 219 of City Hall. If you would like to talk during the public comment section, please focus on the lease being terminated early. There are many reasons why the lease should not be terminated early. Focus on those. In Fayetteville, City Council Agenda Sessions are used to determine the agenda for the next week’s full City Council Meeting. The Parks and Recreation Department recommended that the lease that the city has with the University of Fayetteville for Lewis Park be terminated early by six months. The resolution was put as an item on the Consent Agenda as item number 7. For those that don’t know, consent items are all voted on at once. They were invented to save time in meetings so each individual resolution or ordinance doesn’t have to be voted on. Some councils have reported saving hours using consent agendas. Consent items are supposed to be routine resolutions where there isn’t any concern or conflict. If there is any concern or conflict members of the public or elected officials are able to move it to a regular business item. In Fayetteville, the only people who are able to talk in an Agenda Session are staff and elected officials. Additionally, the only people able to move items from the consent section to the regular business section are council members and the Mayor. This is a little concerning because if the whole council is on board with something they could completely ignore the will of the people, put something on as a consent item, and then vote for it with out the public being able to even comment on the matter. Connie Edmonston, got up and talked about the Parks and Recreation Department’s thoughts on the matter and their thought process for terminating the lease six months early. Another staff member got up and talked about how the city had originally wanted to end the lease in June of 2017, but it got extended to the end of the calendar year. He also mentioned that they knew that the piece of land was for sale, but that Mayor Jordan had instructed staff not to pursue purchasing the land. The council talked for a bit and Councilman La Tour said that as there was a contingent of people who wanted to speak about the matter and he would let them. Councilman Kinion wanted to stress that the item that would be discussed at the next meeting would be about ending the lease early and not if the city should buy the land. Mayor Jordan agreed that would be the focus of this debate. The resolution was then moved from the Consent Agenda to the first item of the New Business section. We need to continue to write and call our council members. Every day if possible. If you haven’t done it yet do it today. 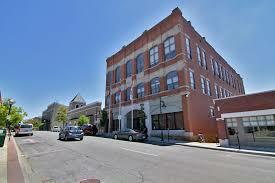 I had heard that Mayor Jordan didn’t want to #SaveLewis before from several city staff and others in-the-know. This meeting confirmed it. I’m a little confused that someone who continually boasts about his environmental record and creation of parks and open space would care so little about the current threat to Lewis. I would like more clarification from him on this issue. We need to stay on topic about the lease extension and not the purchase when we, as the public, get our chance to speak at the council meeting on November 21. Show up to the council meeting on November 21 at 5:30 in room 219. Its at the top of the stairs in City Hall. You can watch the video of the agenda session at http://accessfayetteville.granicus.com/… the item for Lewis starts around 5:11 and runs to 10:37. “I appreciate the work that the parks and rec has done to build Kessler, especially with the knowledge that they previously had that Lewis would be repossessed by the u of a. However, now that the u of a is planning on selling the land and not using it for intramural fields it makes sense to me and a lot of other citizens over 400 and counting in Fayetteville to try and keep it as a park and open space. Kessler just doesn’t have the capacity for demand already or in the future. According to the park master plan we should have at least 12 full size adult soccer fields. We have six at Lewis, two at walker, and three at Kessler. With the potential for just two more. Kessler still has millions of dollars worth of work that still needs to be done to get those two fields. If we could save Lewis, even at market value, which I believe the city and university could work something out, perhaps with the help of ngos and local businesses, which I already have pledges from a handful of businesses, it would still be magnitudes cheaper than finishing Kessler. Joyce Richards also spoke in favor of Lewis Park. She mentioned how she has lived out next to Lewis since the 70’s and has seen the area be built up. She implored the council to think about where the green space would be if Lewis was gone. Joyce also asked them to consider the skyscape and the other intangible losses that would happen once Lewis was gone. The Parks & Recs council members were very sympathetic to our cause. They encouraged members of #SaveLewis to talk to our city council members — especially those of us who live in Ward 2. Connie Edmonston, the Parks & Recreation Director, seemed to believe that there weren’t issues with Kessler and that it was adequate for the city’s needs. She also mentioned that they were going to recommend that the lease for Lewis be canceled early at the next city council meeting. I think we may have stepped on Connie’s toes a bit as she has worked very hard on Kessler Regional Park and she took the criticism personally. That was not our intention. She has done a good job getting Kessler built. In fact, we believe that Fayetteville needs Kessler, but we also believe that Fayetteville needs Lewis too. There were some back and forth questions between the gallery and the council. Several council members even said that they were for our cause, but that there was not much they could do. It would be up to the city council and Mayor. We need to let our fellow citizens know about this issue. You need to talk to your neighbors and friends and let them know that Lewis will be for sale. Tell them to tell their neighbors and friends. Post it to your social media. Get the word out. We need to start collecting signatures for a petition. Ultimately, it is going to come down to how many people in Fayetteville think it is more important to have a park and green space than be apathetic about more condos or apartments going up. We need to show up, and show up in force, to the November 21st City Council meeting at 5:30 pm in room 219 of City Hall. Thank you for you support. Together we will #SaveLewis.